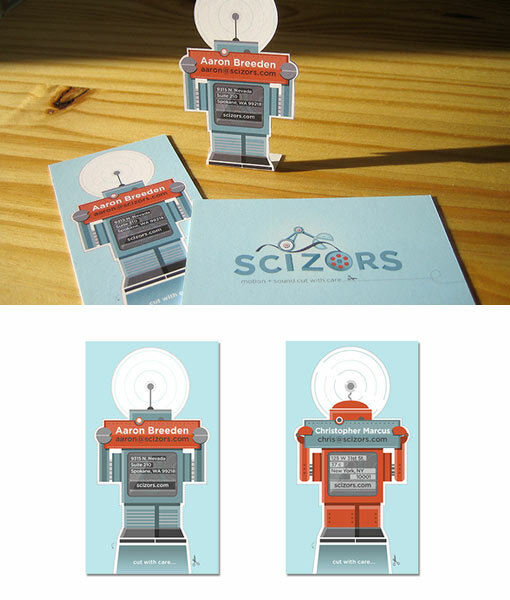 Scizors is a small post-production company who asked me to create their identity and branding. The project was a blast as the requirements involved robots, rockets and other fun logo explorations. The final logo consists of a film-chomping robot perched upon the letter i. The business card is interactive: if you follow the line extending from 'motion + sound cut with care' it continues to the front of the card and outlines the robot. Those ambitious enough to cut on the dotted line are rewarded with a small paper robot.